How to change the ASP.NET configuration for your domain in Windows? The change the configurations are required to sync with the exact requirement of your web application and the server in windows hosting. 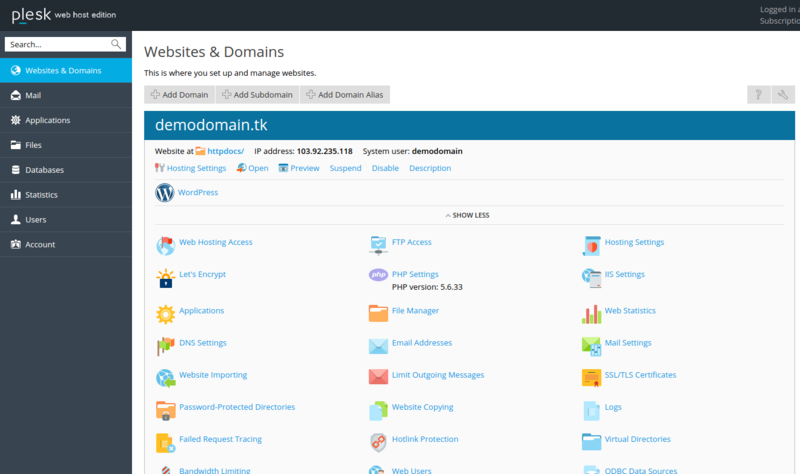 In your hosting, at Plesk panel you later these changes with a simple front-end interface. It is a simple two steps procedure as shown in the figure. 1. Login into the Plesk panel with the credentials. 2. Click on ASP.NET settings. 3. Make the changes you want to and click on OK.
4. The procedure ends here with the success message on the page. Which Control Panel Do You Provide in Reseller Host? How to create a virtual directory in Plesk panel?